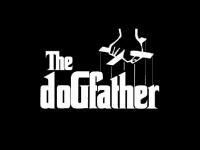 DOGFATHER had the most liked content! What a try. There were plenty of people raving about the one York scored in the YC, the one in the video above was every bit as good IMO. It beggars belief that some still think we don't play any football. It isn't really fair though is it? The teams travelling to Toronto, have the issue of jet lag as well as several hours travelling for away games. This will not affect Toronto, if they are allowed to play all of there home games in a block at the end of the season. It must be a big advantage. I know they are paying for the flights for opposing teams, but lots of teams last season were flown to Edinburgh or Glasgow, where the flights were cheapest. Whichever way you cut it, it is a hell of journey to get to Scotland for most teams, especially when there is 10 hour flight to contend with before, or after it. I'm not an anti-expansionist and I can see many positives that TWP have brought to the game in terms of exposure. But as stated in an earlier post, I'm not sure how the problem of being unable to play league games at home for half of the season is going to be resolved in the short/medium term, or if indeed it could be resolved, nor whether the current scenario would be tolerated in SL. It is not just a problem for the league games either, surely it will not help them to produce homegrown players. Any potential homegrown player with a young family, with aspirations of playing the game professionally is going to have a tough choice to make, as they will be required to live abroad for half a season every year. It isn't even like they could just find a covered ground/Dome stadium to resolve the issue either. Even if they could find one for TWP, I would be very surprised if it could be done for every team in a Canadian league, especially at an junior/amateur/feeder level which would be required to produce home grown talent. Also how do the season tickets work for TWP given half of the home fixtures are played on the other side of the Atlantic? I realise most sports now get the majority of their income from TV deals, but it is still a lot of lost revenue, there is a reason gate increases are being targeted by the RFL and SL regarding future funding. Pardon my skepticism, but I know the RFL/SL have introduced targets for all clubs to increase attendances and online presence, together with incentives in terms of central funding in coming years depending on how clubs have done. Therefore, it begs the question, just how accurate are the attendance figures with such an incentive in place? For example, I went to our Sheffield away game on a Friday night, where the official attendance was over 1200. There was around 600 in the ground at a push watching the match, I guess the other 600 must have been queuing for the port-a-loo's if the figure was accurate, this is not an isolated incident either. It is also amazing how Toronto have played their home games as double headers this season with SL clubs, could this be a ploy to hide attendance figures for home games played in the UK/increase SL attendances to ensure they help to inflate the attendance figures? I don't believe the hype and cannot believe Sky would be so naive to buy it either, as it is very likely to be a negotiating tactic for the next TV deal. I could be wrong but I thought they were dual registered with Wigan, as part of the Hankinson deal? Saints are with Leigh. I don't doubt the sending off was justified, but what infuriates me is, more often than not players are put on report for such incidents, (McShane's for Castleford is a very recent example). When it is us though, the ref's brandish cards like confetti. We seem to have had less than a full complement of players, for at least part of every game this season. There was nothing malicious in Ward's tackle last night, and you see tackles like them every week, punished with just a penalty, certainly not a sin binning. Taira's sin binning last week for a late tackle, in which the player he allegedly hit late somehow lost the ball forwards in tackle, go figure?! Yates was taken out late on 5 occasions against Widnes, yet we only got one penalty, and they didn't have anyone sent to the bin, not even Hanson, who hit him with a shoulder charge that was so late, the ball had gone through two pairs of hands by the time he made contact with him. Lillicrop and Galbraith against Toulouse, yet neither were sanctioned. It isn't an easy job, being a ref, but we have been on the rough end of the officials so often this season, that it cannot be coincidental. They say these things balance themselves out, I can't wait for that season, we will be unstoppable. In fairness to Finn, it is difficult for halfbacks to shine if he is playing behind a beaten pack. It was a shame Andrade was injured, I really liked the look of him, I hope he is back for you soon, but has booked a holiday for the return fixture and the Bash. Congratulations Sam. I thought he had a great game last night too. For all either of us know then, we might be practising nothing but core skills in training. If we are, then I'm not sure what more a coach can do - other than drop players. However, when he does that, he is criticised for messing around with the team. Which leaves him in a no win situation, damned if he does, and damned if he doesn't. To be honest though, I really can't see him turning this around now, for whatever the reason, (players not following instructions, or maybe they are, but following a poorly conceived plan). We really needed to kick on from the last few performances. It was noticeable that we played to a very different game plan against Widnes, based upon field position, pressuring the opposition and doing the basics. Was that down to the coach, or the players? Last week, we seemed to revert back to trying to score off every play, so was this Diskin's plan, or the players thinking all they had to do was throw the ball around and they would win easily? I guess nobody will ever know for certain. However, I would expect decent amateurs, never mind professionals, to recognise a plan isn't working during a game and change it accordingly. I haven't seen international players train, but I can see it would make sense. As a former player, I know we practiced the core skills in training as well as patterns of play, with scenarios dependent on where we were on the field in terms of attacking and defensive structures. However, those structures didn't always materialise on game day. I have very little knowledge of what Batley do in training currently, are saying that we do not practice them? I'm not debating fault. You stated:- I merely pointed out that he hadn't messed with the team on Sunday. He had kept to the same 17 that had played Widnes, (except for the injured Tomlinson). I come back to the point, that DIskin didn't lose the ball, throw shocking passes out or miss tackles.Could you advise me, what he should have done to ensure that the players didn't make these basic errors? Also, could you tell me what he should have done in terms of team selection on Sunday? In my opinion, he did the right thing in picking the same team that had beaten Widnes. Are you saying he should have made wholesale changes after such a performance? If he had made lots of changes, and we had put in that performance, I would totally agree with your point about him "messing with the team". But he didn't. In your opinion, after the display we put up on Sunday, should he stick with the same 17 to face Dewsbury, or make changes? Personally, I'm not sure what the best thing to do would be, but I would be inclined to drop a few, otherwise, what message does it send to the players who were not selected to play against Doncaster? Therefore, would this constitute "messing with the team"? When the team isn't winning, it is easy for the world and his dog to criticise. If we had lost to Widnes, I dare say you and the rest of the "Taxi for Diskin Crew" would have been jumping up and down that we lost because he had left Brambani and Brown out of the 17. However, I will concede, tactically he is either extremely naive, or the team are not following instructions. Ultimately, his job is to win games, nothing more, nothing less. Stats do not tell you the whole truth, but, they do offer a compelling argument that things definitely aren't working out and a change is needed.